Well, we missed about two months. To say a lot has changed is putting it mildly. Two months ago, we lost our fourth baby at 38 weeks. Chase is a beautiful angel and rest in the arms of Jesus. For that, we are so happy. But we miss him, and we’ve spent the past couple of months making sense of everything and finding our new “normal”. The kids stopped asking about service projects, and I stopped feeling the motivation to serve. But several weeks ago I heard about the death of a young man who went to meet Jesus at the age of 21. And suddenly I wanted to serve everyone. I wanted to calm the fears of anyone who was scared, feed anyone who was hungry, love on anyone who felt alone…I once again felt the call of Jesus. And it suddenly became even more important to me that I instill certain values in my children. No matter how many medals they win, how many A’s they make on tests, or how many trophies line their walls, if they seek first the Kingdom of God, I have done my job. And to me, a large part of His kingdom is serving others. 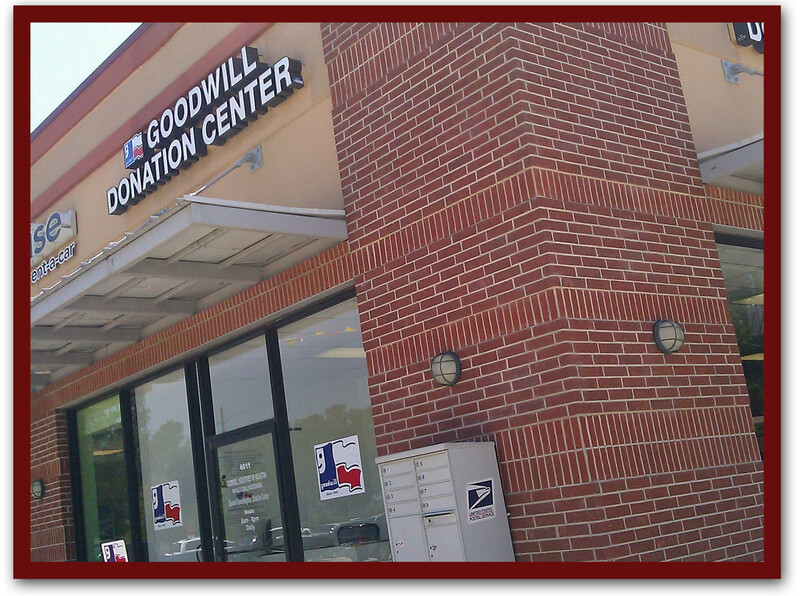 So we started with something small – a donation to Goodwill of yet more stuff that we did not need. We have far too much stuff (don’t we all). And if we’re not using it, we should give it to someone who can. 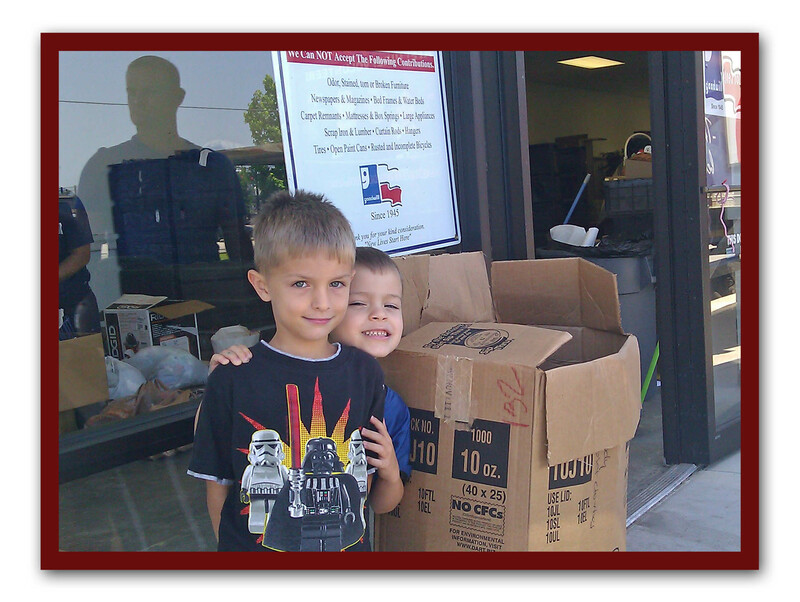 Here are the boys dropping off the “stuff”. 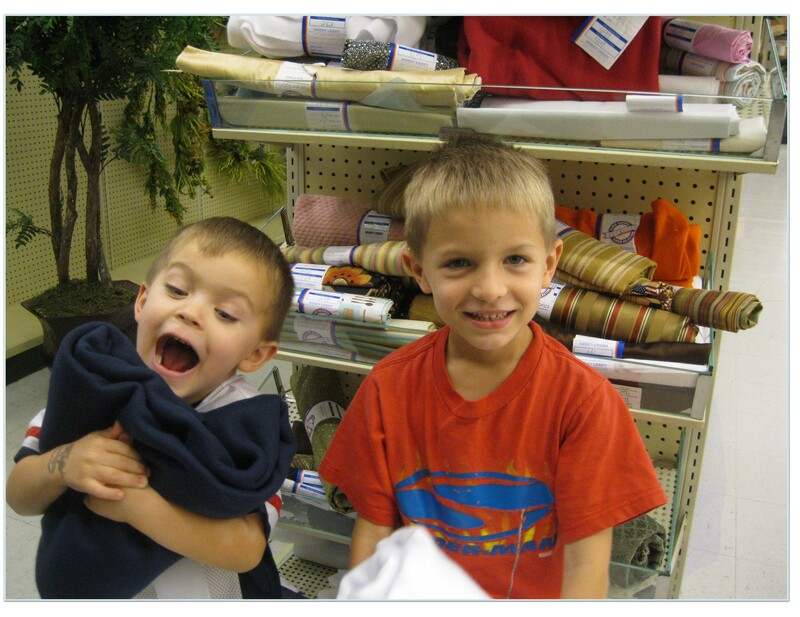 The boys were really excited when I told them we were going to do a service project – until I told them I had to take a photo of it. But they got back into the groove, and I explained what “goodwill” was. It was a nice welcome back into our mission, and it is my prayer that these projects instill in my children a love for serving others as if serving the Lord himself. A rough start to the new year, and we missed a week!! I was so sad when I realized we hadn’t done a service project last week. But we’re off and running again with another project. 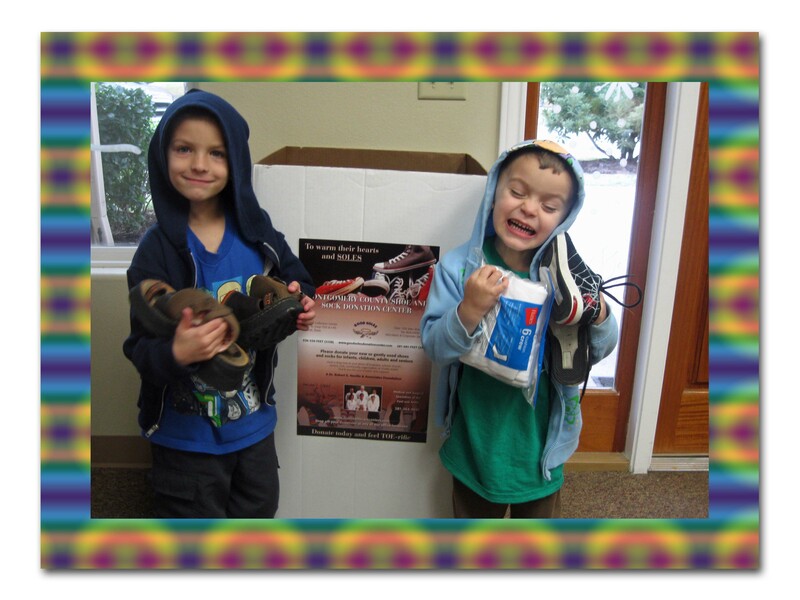 This week, we collected shoes and socks for the Montgomery County Good Soles Donation Center. 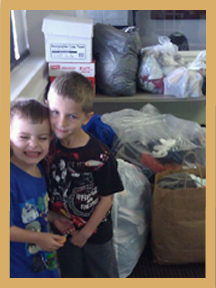 They accept donations of gently used and new socks and shoes for infants, children, adults, and seniors. 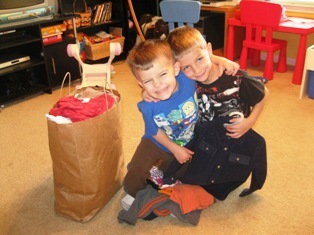 I bought some new socks, then the boys had a blast going through the shoes we collected for donation. As always, I asked them if they understood why we were giving away our shoes. 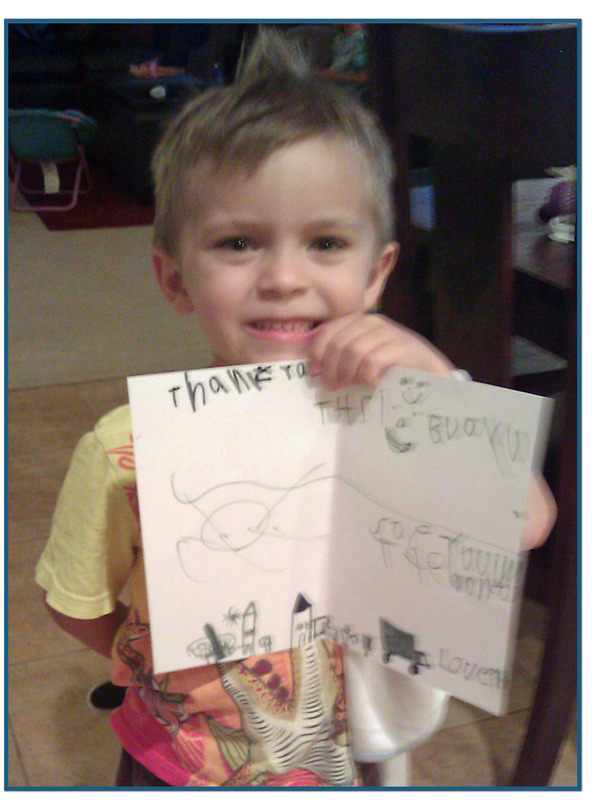 Tyler promptly answered, because there are people who don’t have any shoes, and they need something on their feet. Voila – mission accomplished! Our church is small, growing, and new. Okay…so not exactly new. But we are small, mighty and very loving! We’re also a very generous church, and most everyone is ready to jump in and help when needed. 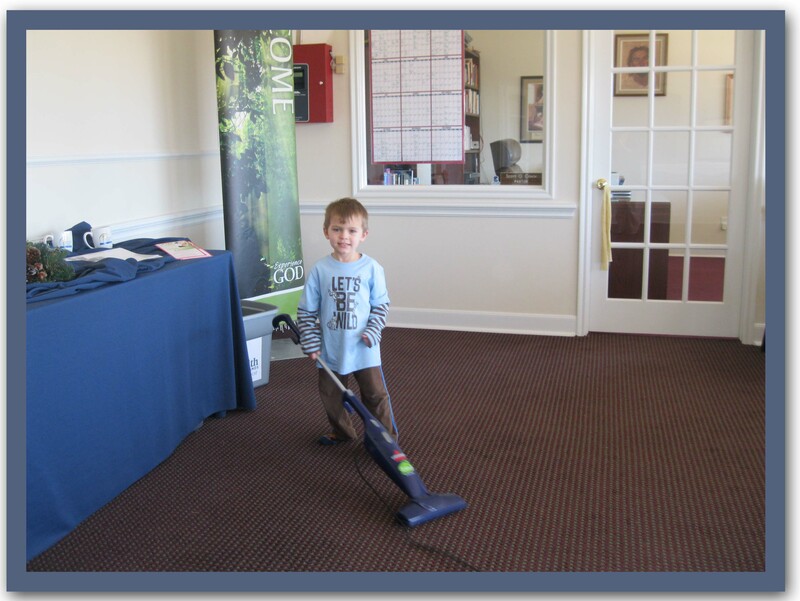 So when we moved into our new building, and the pastor called for families to sign up to clean up the facility after church once a month for one quarter a year…I jumped on it. I thought, what a better service project than cleaning God’s house! As a small but growing church, we try to save money where we can…so we can spend more on benevolence and other church activities. I was not sure how well the kids would take to cleaning up after church, but to my surprise they were actually EXCITED about it. I am not kidding. 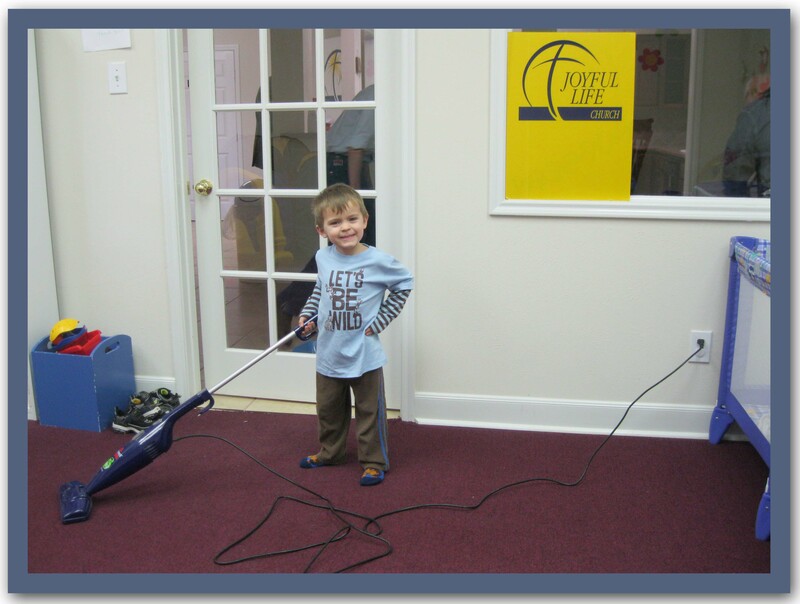 They were very excited to be vacuuming, and the boys were so proud of the work they’d done. 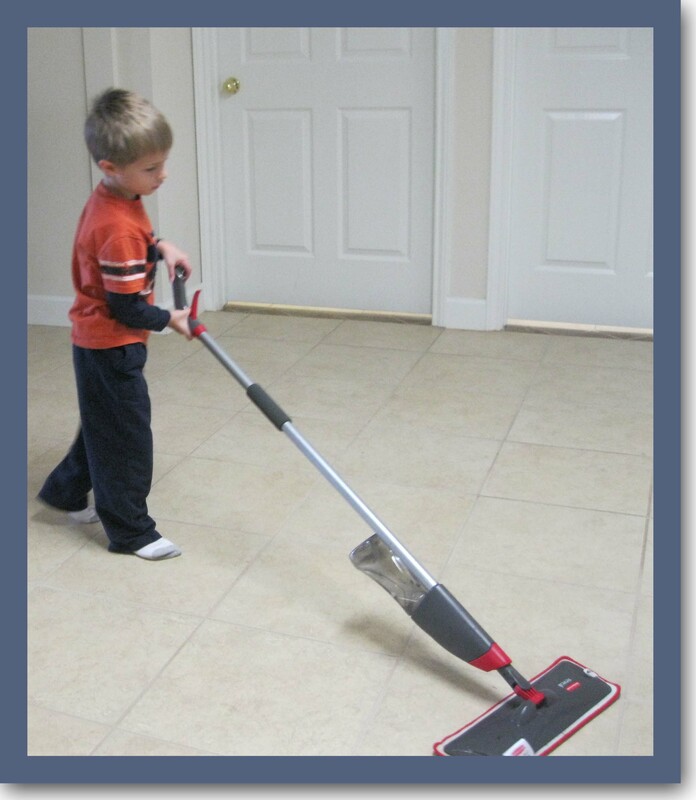 Perhaps it’s because they are still little and think that vacuuming or mopping is fun. No matter what, it went so well, and I am so proud of them. Not only did they do service, but they saw what we could accomplish as a team. 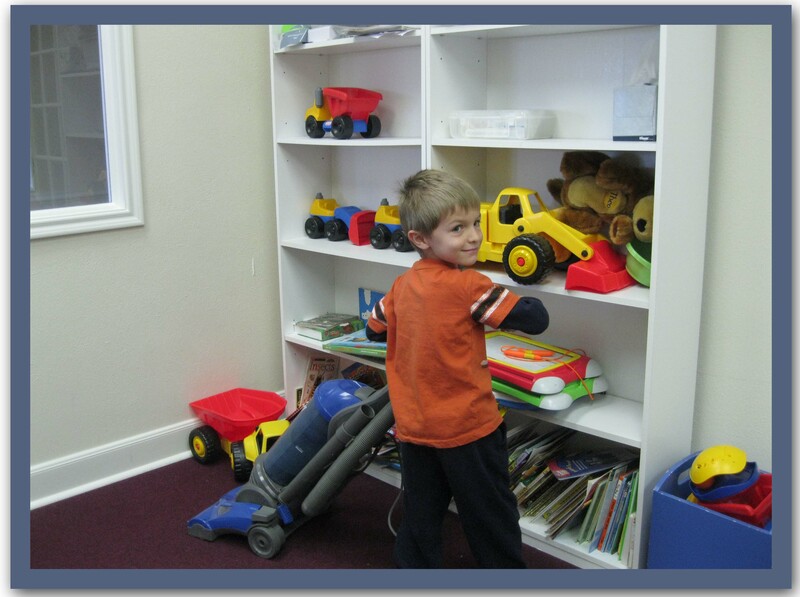 And they didn’t just help out “for fun”…they really vacuumed, mopped and swept. 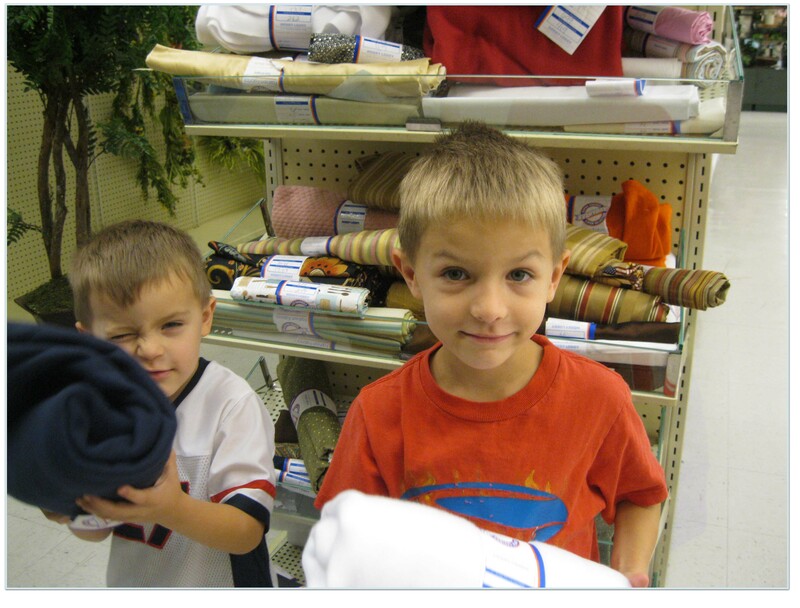 I told them they were helping clean God’s house, and they really liked that. 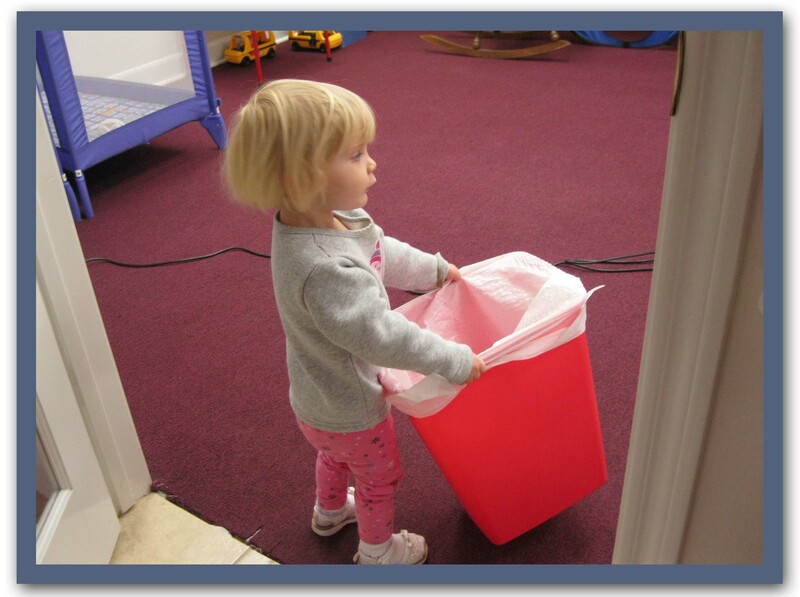 Madi even got into the act and carried the trash can back into the nursery. When we were pulling away from the church, they also thought it was fun to be the last ones there. Tyler asked me if we could do another service project later that day. It almost made me cry that he found this so enjoyable. 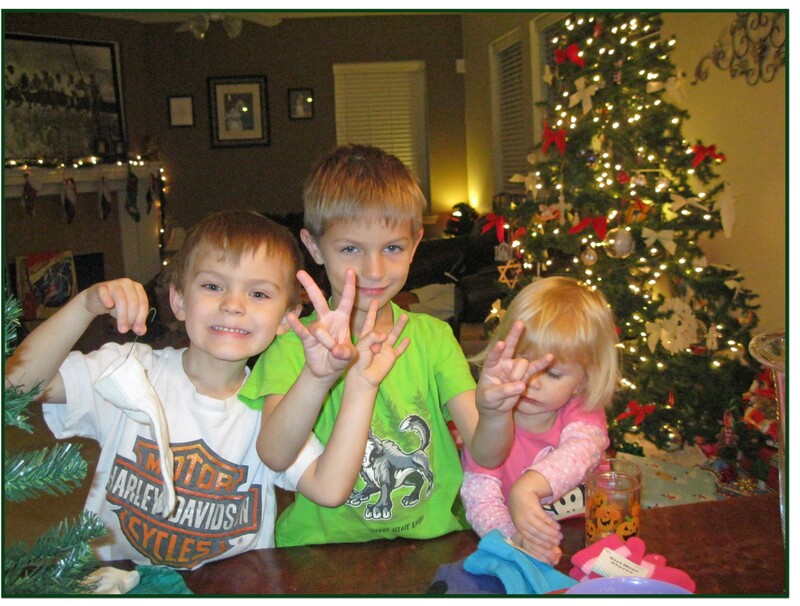 That was my goal…to set them on a path of service as “fun” and a part of why we’re all here. My new 2011 “thing” (because I don’t make resolutions) is to do everything as if serving the Lord…I told myself that many times as I did the 8 loads of holiday laundry later that afternoon! Blessings to all this new year, and I cannot wait to see what other projects lie ahead! In the spirit of Christmas, our eighth service project was to make a glove tree. We took a trip to Target during the week of Christmas to pick up some last minute gifts. 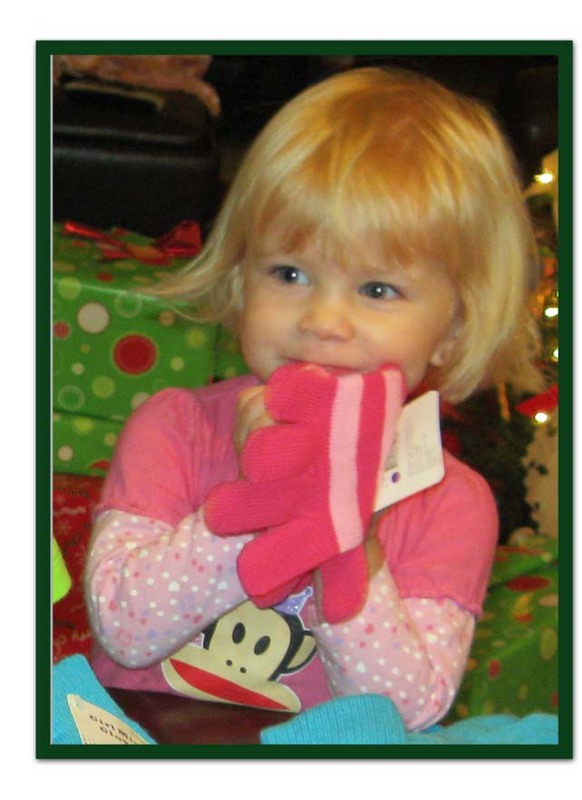 Unfortunately, I forgot my camera, but let me assure you that the kids had fun picking out different pairs of gloves. The idea was to let each of the kids pick out a few pairs of gloves then hang them on the “glove tree” to donate to Interfaith of The Woodlands. 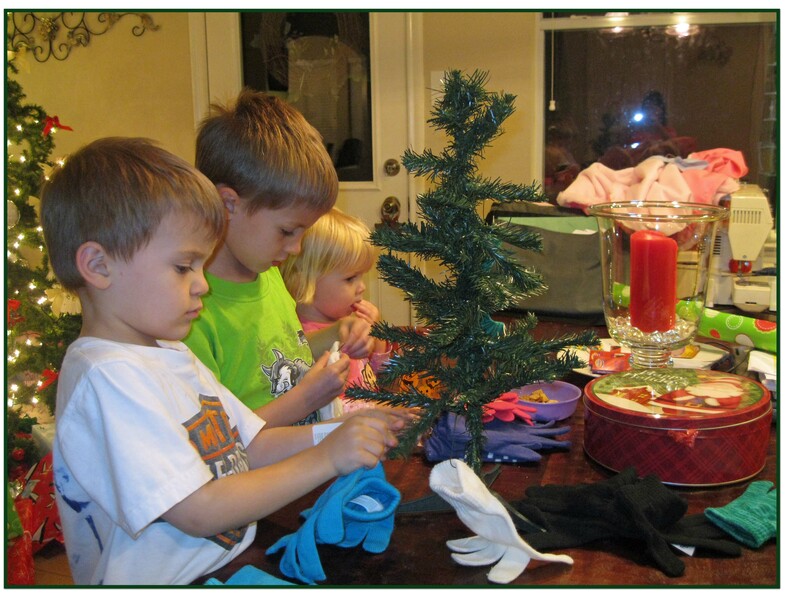 When we got home, I found an old decorative tree I’d picked up for $1 at Wal-Mart and let the kids hang the gloves on. I think they understood why we were doing it. 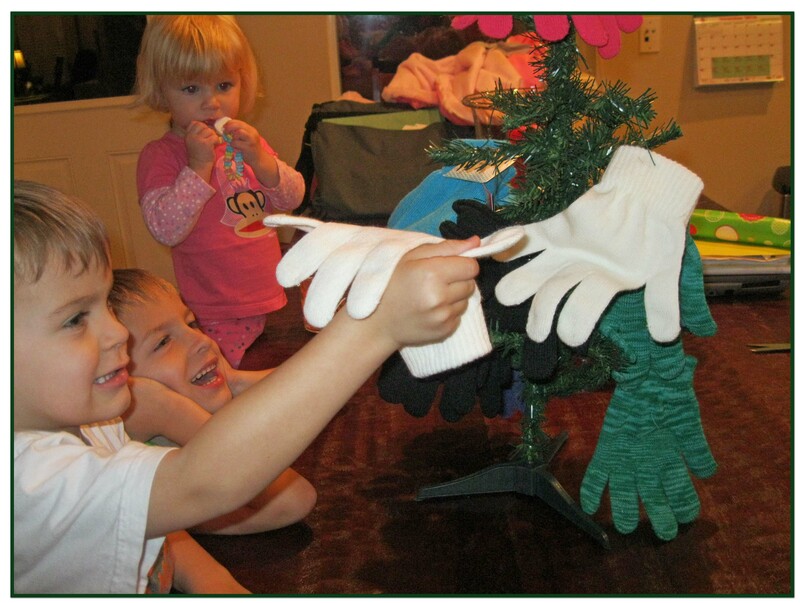 Amidst all of their own excitement about Christmas presents, food, and family, it was t ough to convey our purpose behind the glove tree. But they definitely understood that we’d be giving it to people whose hands were cold because they could not afford any gloves. I ran out of time during the week of Christmas for us to deliver the tree, so I plan to do it this Friday when I am off work again. I’ll try to get a photo of the delivery when we make it. Blessings, and see you next week! 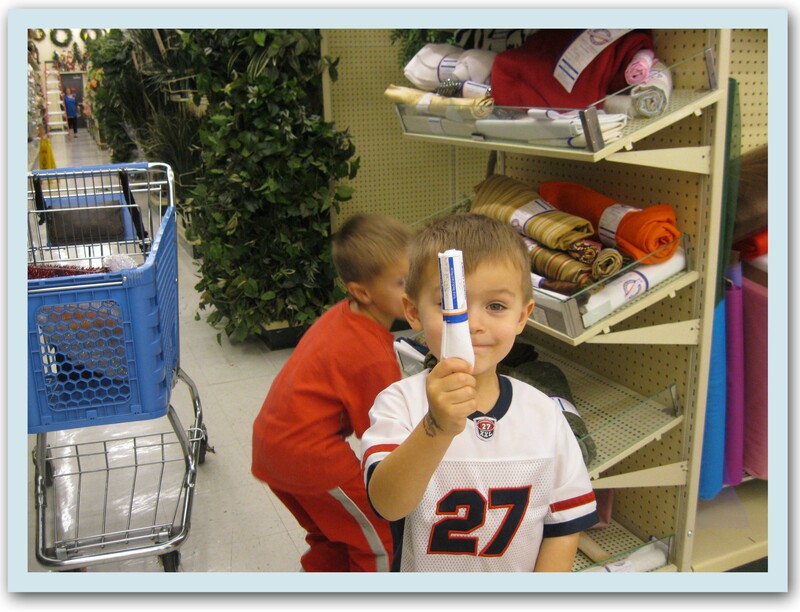 When I first started this endeavor, I searched online for ideas and ways to give back. I came across this amazing group called the Red River Quilters. It’s a non-profit group, and their purpose is to preserve the art of quilting. Based in Shreveport/Bossier City, the Guild draws its membership from the extended Ark-La-Tex region and typically has approximately 300 members at each years end. They meet every Monday at a Presbyterian Church in Shreveport. They quilt for fun and also do a lot of charity quilting. Some of the programs include quilting black and white quilts for visually impaired children (my heart melts!) and quilts for babies and children in need called Love Wrappers.